A little about Melissa Buchanan….. I was admitted as a solicitor in March 2018 and I have experience across a broad range of law including Commercial and Retail Shop Leasing, commercial disputes, Franchising, New South Wales and Queensland Conveyancing, Property Development including BCCM Strata Titling, Wills and Estate Planning and Business Conveyancing. Having been a part of the ACS team for more than 20 years as a paralegal prior to completing my law degree, I have a strong sense of what it takes to provide my clients with real world legal solutions. I became partner of the firm, with Jocelynne Berry in October 2017, when my long time mentor Maree Slingsby retired from practice. I am proud to be a member of the local community. My family moved to Canungra from Victoria when I was young and I have made my home in the local area with my husband, 4 children, and 2 dogs and 2 chickens. 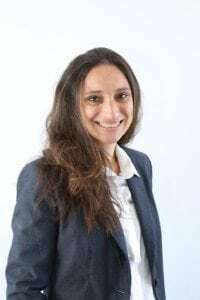 Melissa Buchanan was admitted as a solicitor in 2018 and is a partner at ACS Legal Solutions. Melissa works hard for her clients to provide real solutions in a variety of areas including; property development, body corporate work, leasing, partnership disputes, and wills and estate planning. Melissa has been part of the DNA of ACS Legal Solutions since 1998. Melissa’s attention to detail and problem solving skills make her an invaluable part of the team.